I it did folks! I’ve created a VERY manageable and easy to understand system to help you communicate to your students, administration or anyone else who may be visiting your classroom what Next Generation Science Standard performance expectations you are expecting the students to demonstrate for a particular lesson, along with the practices, crosscutting concepts and disciplinary core. I’m calling this tool the NGSS Expectations Ladder. The NGSS Expectations Ladder is a tool that has interchangeable cards that are chosen depending on the emphasis of your lesson. Cut out the cards, laminate, hole punch and hang on rings – voila! 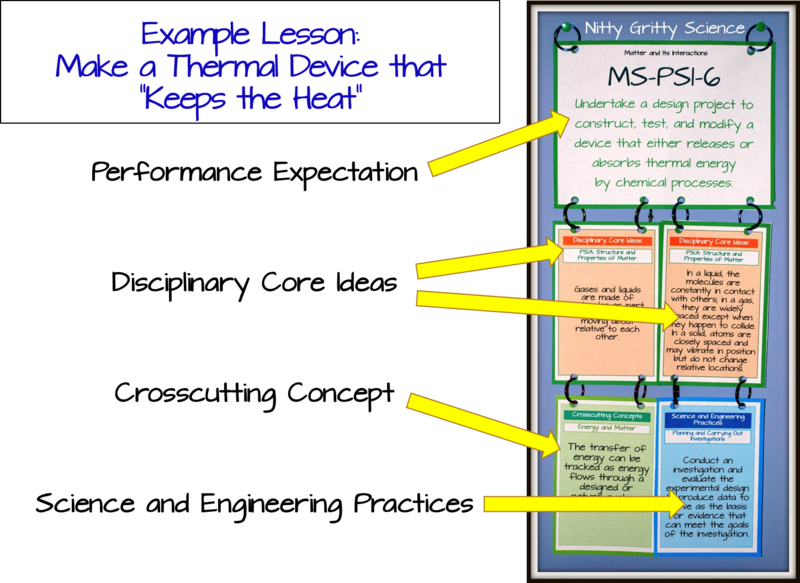 This system is simple enough that I would encourage you to have your students be responsible for choosing the correct cards and hanging their own NGSS Expectations Ladder near their lab group station or somewhere accessible to them. Currently I have middle school Life Science and Physical Science sets completed and will have the rest posted soon. 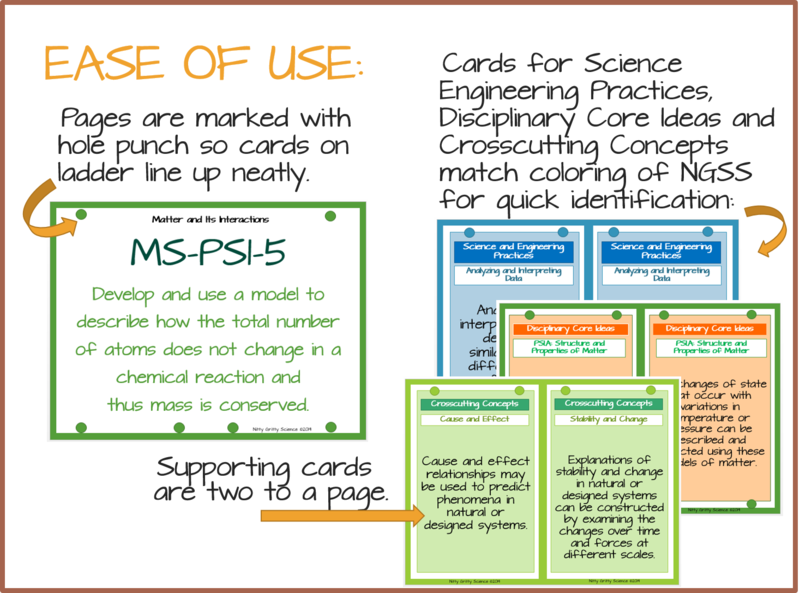 The sets are based on the Disciplinary Core Idea arrangement of the NGSS and has an individual card for each bulleted DCI, Crosscutting Concept and Science and Engineering Practice. Standards are posted, students are informed and you just saved yourself so much time – go out and celebrate!